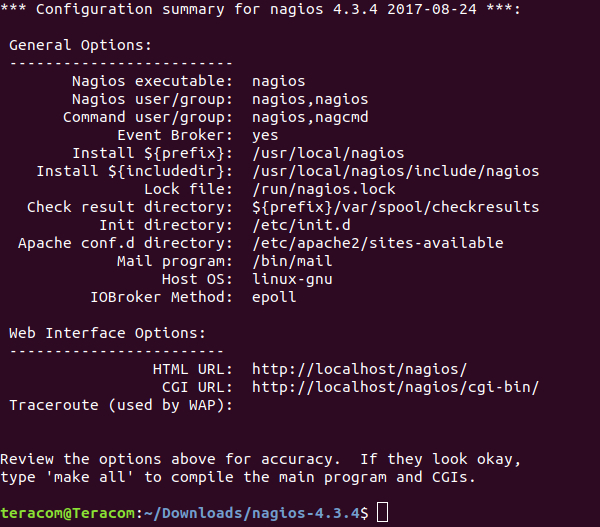 This article is an update of our old article “How to install Nagios local server on Ubuntu 16.04“. In the article, we will describe how to install Nagios local server – step by step. You will need the following packages – Nagios 4.3.4 and Nagios Plugins 2.2.1, and Ubuntu 18.04. It is assumed, that the user is familiar with Linux and already has a workstation with Ubuntu 18.04. A password will be required, after that, the console enters root mode as shown in the picture. 2.7. 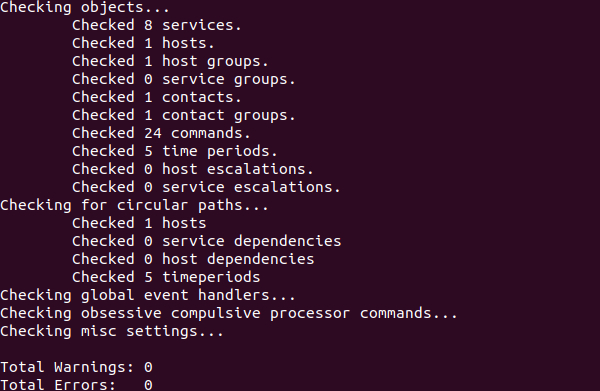 Setting system to run Nagios process on start up. To save changes you should use Ctrl+X combination, after this Y and finally ENTER. The following configuration file is changed. 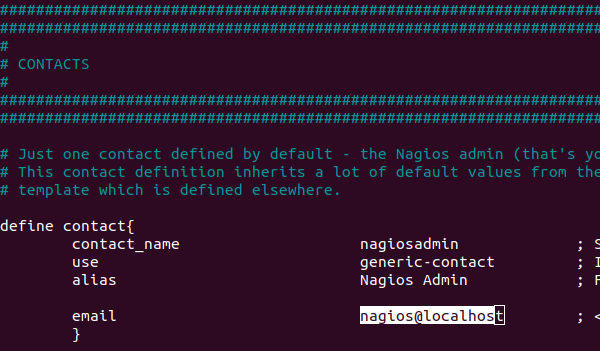 The address nagios@localhost is replaced with the desired email address. In order to save the changes press Ctrl+X, then Y and finally ENTER. The document is saved under the same name. The user should write the username (nagiosadmin) and the password (set in step 2.6). This way, if an error occurs during configuration, finding and fixing it comes down to a check only of the last edited configuration file. The first change is made in the main Nagios configuration file. 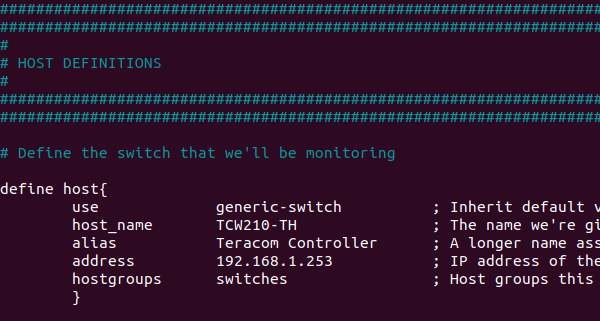 As the basic Nagios installation includes monitoring of the local host only (the local computer), Nagios should be permitted to access other hosts as well – switches, routers, and other servers. The symbol # should be deleted, which will allow the Nagios process to access the configuration file, where the host data is recorded. The basic installation of Nagios includes only host tracking. In order to add another service, a plugin is needed to execute the service and show its result in the user interface.